An anticipated upsurge in smartphone hacking will present a real challenge for businesses in 2012, according to University of Ulster academic and internet security expert, Dr Kevin Curran. 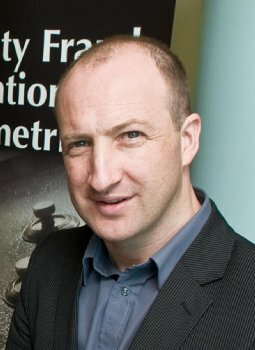 Dr Curran, who is a reader in the School of Computing and Intelligent Systems at Magee and Senior Member of the Institute of Electrical and Electronics Engineers (IEEE) - the world's largest technical professional association - says simple steps like creating strong secure passwords and updating phone software can help guarantee security of business and personal information. He says that people are generally aware of the cyber-security threats associated with PCs and laptops but don't see their smartphones as computers and subject to the same threats. "With more people using the same phone for business and personal reasons, the upsurge in smartphone hacking presents a real issue for businesses as well as consumers. A company can have all appropriate firewalls in place, but it takes just one employee to download malware onto their phone. In fact, with more senior employees using phones for work, it is likely to be top executives who are exposing businesses to vulnerabilities. "Smartphone users represent approximately 20 percent of the mobile market so expect to see an explosion in smartphone attacks, both by technical experts and by novices buying tools from 'dark' websites and conducting low-tech but effective scams. It only takes a couple of seconds to steal personal information but it can have a devastating impact." According to Curran, a 'trusted app' approach is needed to combat hackers, something he hopes can be in place by 2013 – but he expects that the upsurge in hacking via mobile phones may prompt the industry and governments to act sooner. All smartphones - phones with full HTML internet browser and e-mail capabilities - are vulnerable to hacking but some are more vulnerable than others, says Curran. He explains that Android phones are a specific type of smartphone which use an operating system designed by Google to compete against Apple's iPhone and RiM's Blackberry. A recent study 'The Most Vulnerable Smartphones of 2011', claims that more than half of the Android phones in the marketplace today are running out-of-date and insecure versions of the Android operating system – which make them easy prey for hackers. "Carriers are more focused on the latest version of the phone than on providing security updates for older models – and this increases their vulnerability to hacking," says Dr Curran.